CSW Technical Services Limited has over 25 years’ experience in the field of fume cupboard and LEV testing, inspection, and maintenance. We have a good client base and through good working relationships and quality of service, we maintain these client contracts often for many years. A dedicated team of close-knit engineers who care to get the job done right. We offer the whole package from start to finish; design, supply, and install of fume extraction systems, ductwork fabrication, extract fans, airflow controllers and monitors. Aftercare and remedial working is also provided. As legislation, technology, and trends continually change, we work closely with our clients to offer our knowledge to assist and consult in the planning of upgrading fume cupboards, energy saving controls and ductwork systems. We look at the most efficient way to save energy and capital costs by considering system designs, plant and running costs. CSW’s specialised retro-fit service is rather unique within the industry as there are very few companies that can tackle the multi-disciplined tasks required and interactions with Ahu controls, inverters, sash PIR’s etc. The retrofit works are often problematic, awkward and require much effort devoted to complex tasks; we are not fazed by these challenges which often sets us apart from our competitors. Our engineers also carry out extract fan installations, ductwork modifications and commissioning works in accordance with BS EN 14175. CSW Technical Services offers a ‘one-stop-shop’ which means that you only have to deal with one specialist contractor and not many. 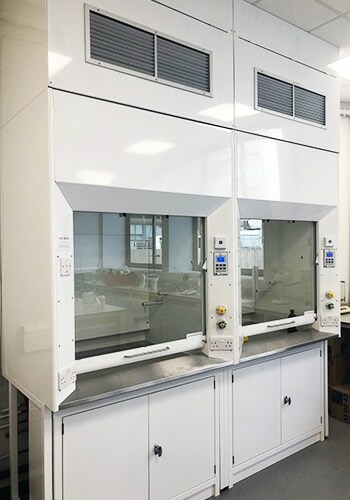 Our VAV retro-fit works have won awards at Manchester Metropolitan University and the University of Reading, where the project won three awards in 2017, including ‘S’ labs and the Green Gown Awards. 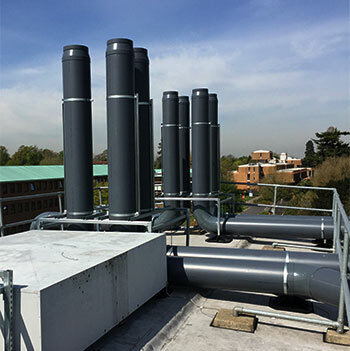 The project saved the University over £200,000 per annum in energy expenditure and made obvious carbon reductions. CSW Technical Services provide a consistency in control strategy, having a partnership agreement with TEL, and we provide good backup technical service and on-site training, as required. Our project quotation is very competitive and well thought out. We offer you a first class service, delivering great energy savings.